Mix and Chic: Fresh decorating ideas for your home! 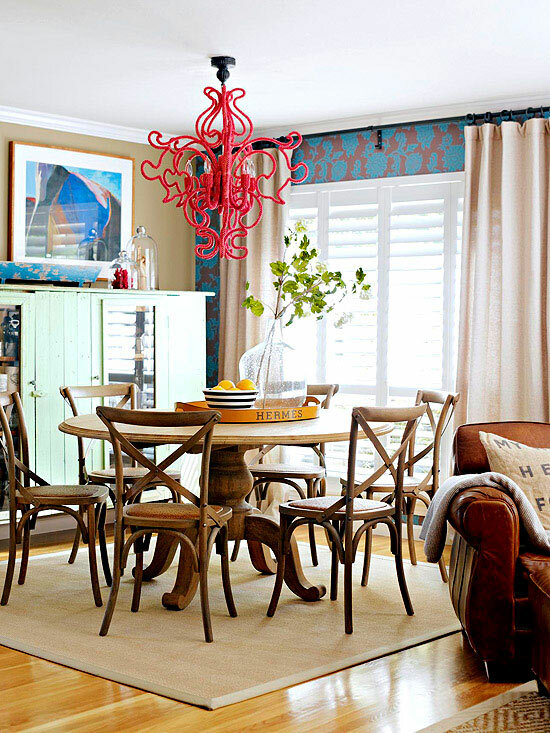 Pick a unique chandelier for your dining room to make a design statement. Etageres make a great statement and provide a wonderful storage and display space. 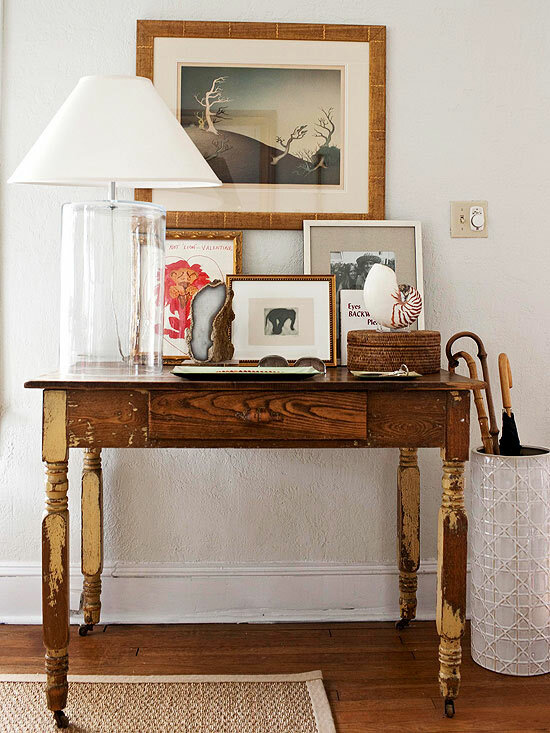 Bring in unexpected elements to your vignette by using geodes and agates. 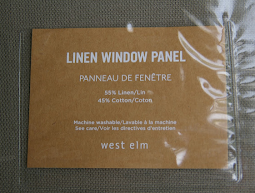 Pair pastel colors with dark finishes instead of white for a fresh new color scheme. 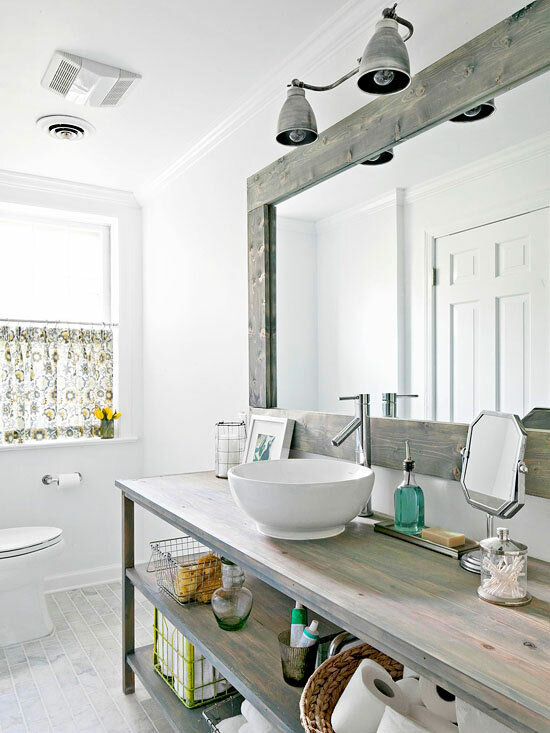 Combine industrial and rustic elements for a fresh, utilitarian look. 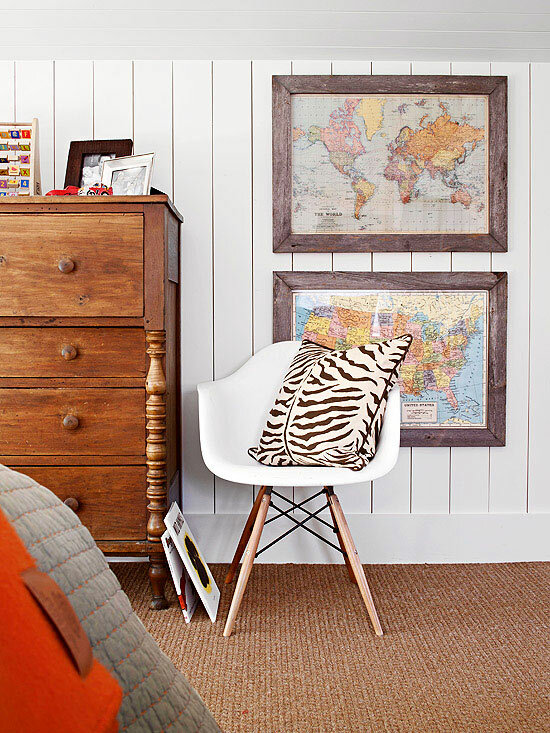 Frame maps and atlases for instant wall art. 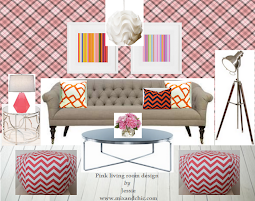 Include geometric or chevron patterns to bring a modern edge to your room. 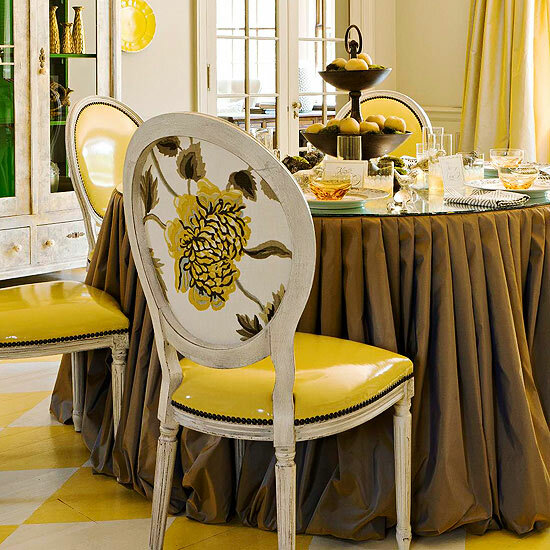 Using different fabrics at the back of the chair add visual interest and style to ordinary dining chairs. Have you used any of these fresh decorating ideas for your own home? I would love to know! That third image...old wood desk with the clear lamp really struck me. So pretty. I love all the mixing it up. I try, and sometimes it actually looks good. 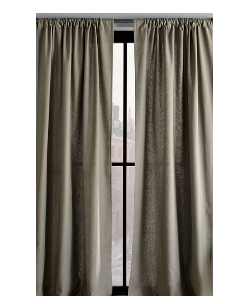 I'm seeing so many accent walls lately, where one is painted a different color or it has wallpaper on i. I just know I'm going to have it in my house soon. Where, is the question! 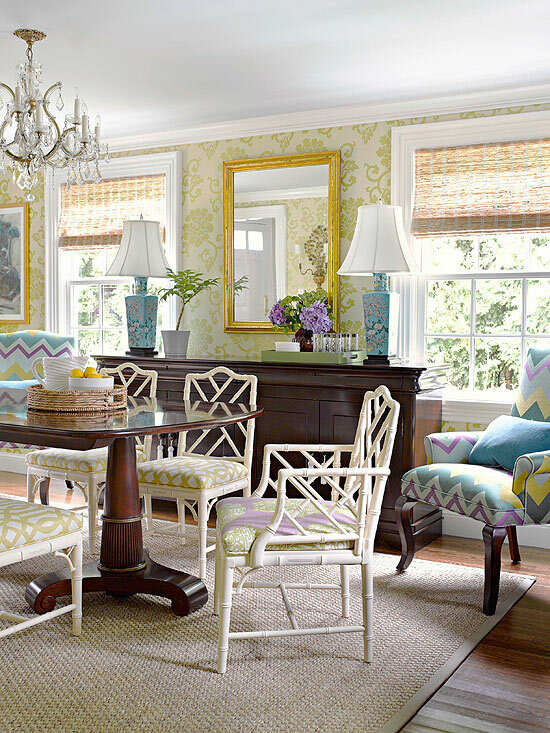 I love the fun colors in the dining room image. 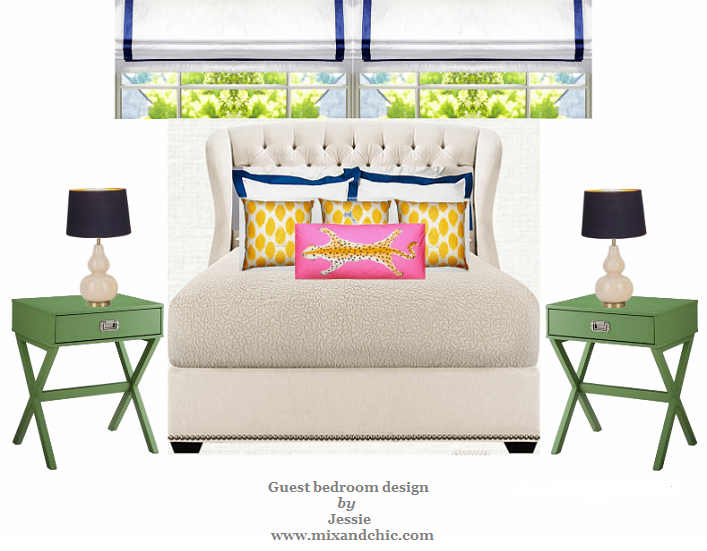 Look how color really makes these rooms, and my favorite tip is to add an element of surprise.